Like previous titles in the NBA 2K series, NBA 2K19 starts your MyPLAYER out with a fairly generic jumpshot. While some may like this jumpshot, others can find it throws off their game drastically. Thankfully there is a way to change your jumpshot to be more the way you like and I’m here to show you how. Below you will learn how to change jumpshot animation in NBA 2K19. Access the MyPLAYER tab from the Navigation menu. Select the My Animations tab from the My Player screen. To start, access the MyPLAYER Menu from the navigation screen. 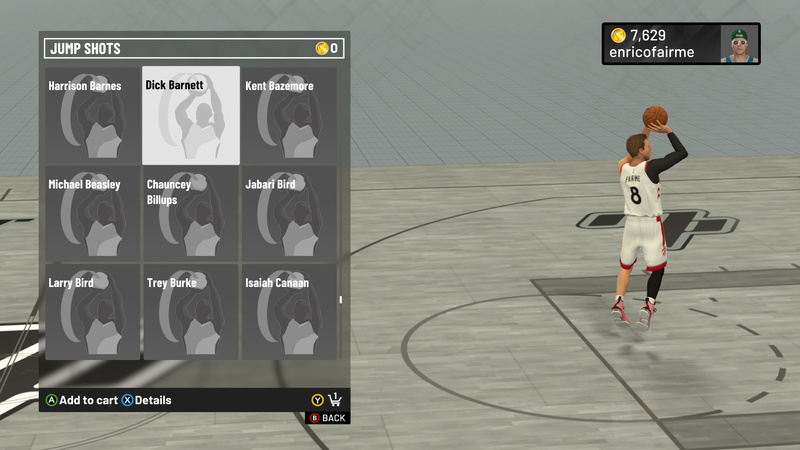 Select the menu and you will be taken to the MyPLAYER customization screen. On this screen there are a number of options you can select to change for your MyPLAYER. We want the My Animations tab. Scroll to this tab and select it to get taken to the Animations menu. You can select from a number of different jump shots. 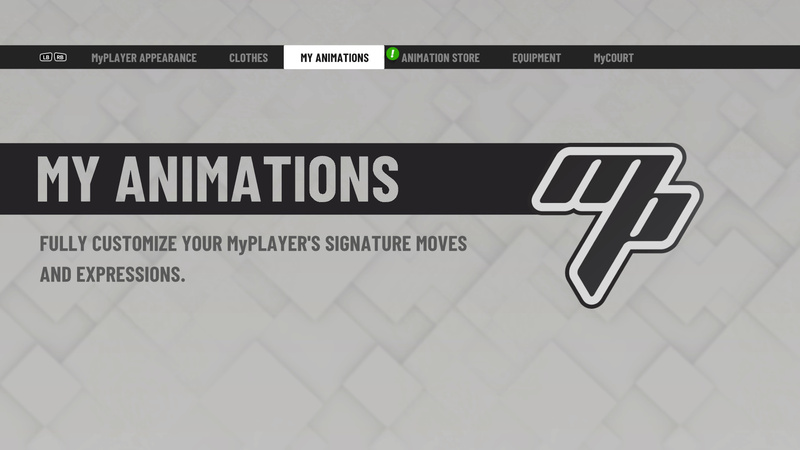 Note: If you don’t like the jump shots you have, you can purchase more from the Animation Store which is the tab directly beside the My Animations tab on the My Player customization menu. The My Animations screen is the hub for all things animations relating to your MyPLAYER. At this screen you can change Shots, Dribble Moves, Dunks and Layups, and more. For now though we are going to focus on our jump shot. 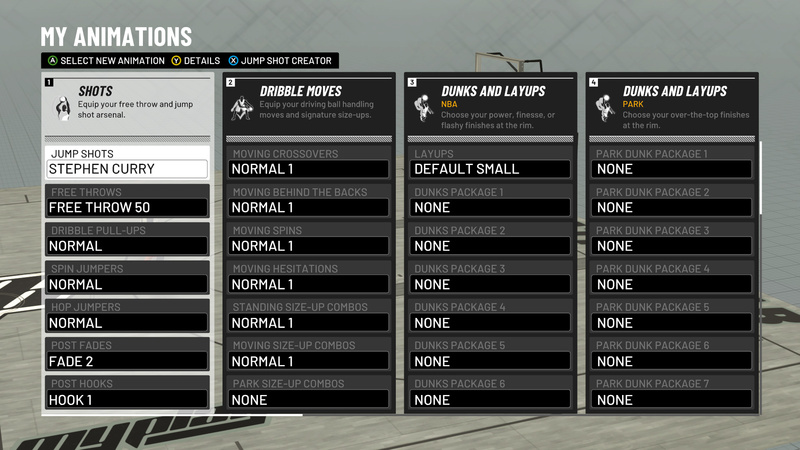 To change your jump shot, select the jump shots options and choose whichever jump shot you want. Equip the jump shot and you are good to go. At level 75 and up you can create your own jumpshot. If you are level 75 and up, you will have access to the Jump Shot Creator. This submenu allows you to create your own custom jump shot for your character. To access this menu, hold x (or PS4 equivalent) at the My Animations screen. You will then be taken to a new screen which lets you tweak things like Lower/Base, Upper Release, Upper Release 2, and Blending & Release Speed. 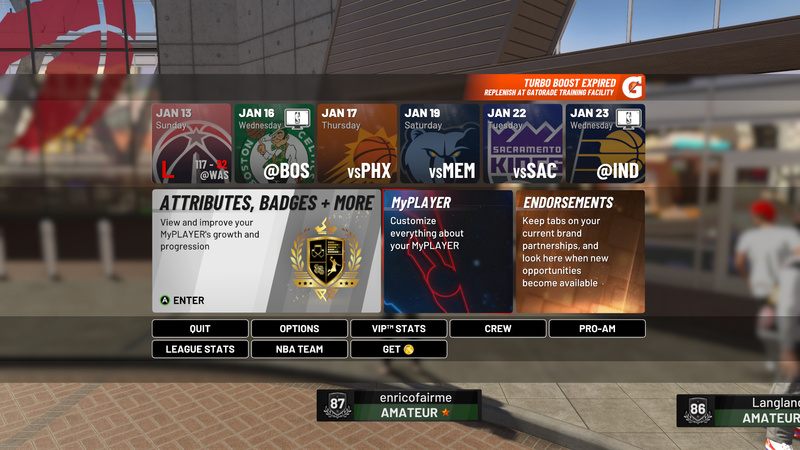 Check out: Guide to the new Neighborhood in NBA 2K19. More: Tips for leveling your MyPLAYER in the Career mode. 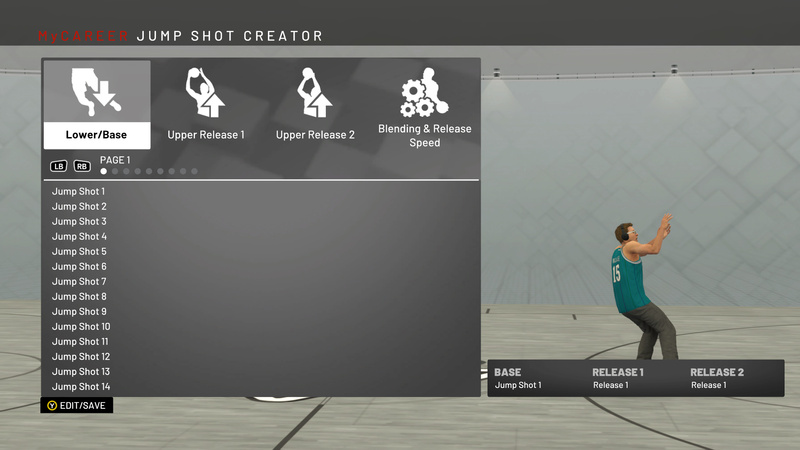 Thoughts on how to change jumpshot animation in NBA 2K19? Drop them in The Pit below. my jump shot keeps changing. How do I get it to stay on the 1 I created? What jumper are you guys running with? I’ve been using the Steph Curry one lately. Thinking about adding the Wilt Chamberlain free throw to my arsenal.